“Arch Of Baal” Erected In Washington D.C. During The Last Week Of September 2018 – Coercion Code – "Dark Times are upon us"
A reproduction of the infamous Arch of Palmyra was on display in Washington D.C. from September 26th to September 30th. In ancient times, if you wanted to go to the Temple of Baal in Palmyra you had to pass through this arch, and you would also pass through this arch again on your way out. 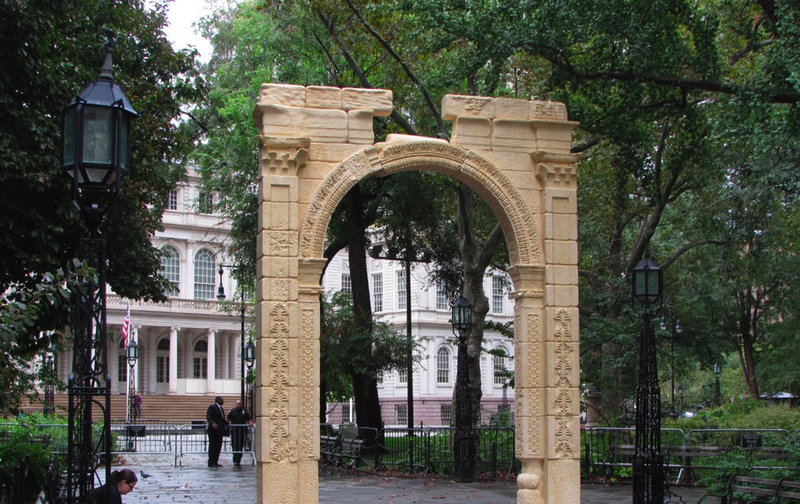 The original arch was destroyed by ISIS in 2015, but it has been reproduced, and the reproduction has been periodically displayed at important locations around the globe. It has been pointed out that an arch is a “gateway”, and many are concerned that erecting this arch may be an open invitation for the entity or entities that were originally associated with this arch. And the timing for putting this arch on display in Washington D.C. is also very curious, and I will discuss that at the conclusion of this article. The title of “Bel” or “Baal” seems to have originally been used primarily for the Babylonian god Marduk. It is quite interesting that this monument to Baal will be up during the time that the confirmation of Brett Kavanaugh is being debated in Washington. Just like Christmas and Halloween these are pegan holiday s.